Loaded's take on the biggest cinema releases of the week. 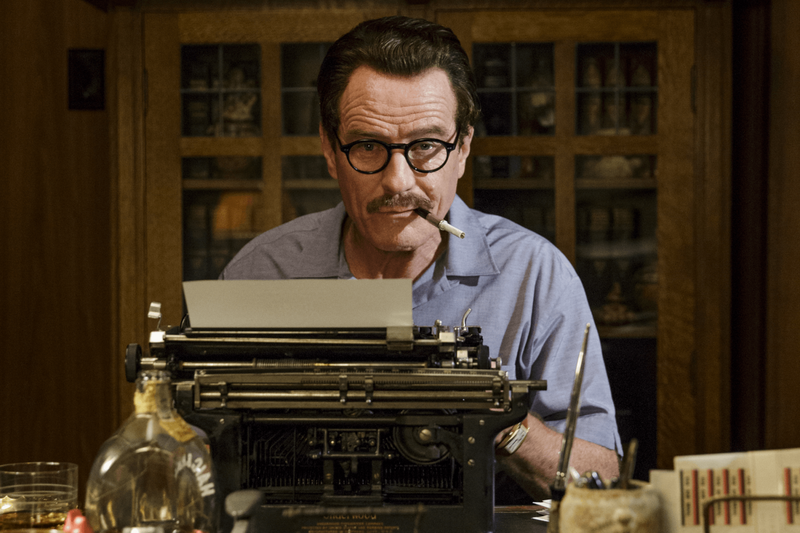 Bryan Cranston is by far the best thing about Trumbo, an entertaining history lesson about Hollywood’s witch hunt of Communist screenwriters through the 40s and 50s. The Breaking Bad star plays Donald Trumbo, a heralded scribe who also happens to be a Communist. He and nine peers – dubbed the Hollywood 10 – were convicted for contempt of Congress when they failed to blow the whistle on each other to the House Un-American Activities Committee (HUAC). Trumbo spent ten months in prison, and when he got out he was blacklisted by the studios he’d made rich. Director Jay Roach’s film shows the strain put on Trumbo’s family life caused by his professional exile. He works clandestinely for John Goodman’s schlock-peddler Frank King, throwing a bone to fellow blacklisted peers in an expansive script factory operation for low-grade B movies. Then there’s the classier stuff. Trumbo wrote the Audrey Hepburn classic Roman Holiday using his pal Ian McLellan Hunter as a front. His passion project The Brave One used the pseudonym Robert Rich. Both screenplays won Oscars, but Trumbo never took to the stage to collect them. This film cleverly twists expectations with familiar faces; chiefly when it comes to HUAC cheerleader John Wayne (David James Elliott). The Duke, so often America’s cowboy hero, winds up as Trumbo’s main bad guy. Helen Mirren also pops up as Hedda Hopper, a scuzzy dirt-digging journalist who’s a 40s precursor to TMZ. Trumbo’s shot at redemption comes through writing jobs on Spartacus and Exodus. Film fans will get a kick out of seeing Kirk Douglas (Dean O’Gorman) and legendary director Otto Preminger (Christian Berkel) come to the fore late on as Trumbo strikes back at the industry that disowned him. Cranston is excellent in the title role and well deserving of his Oscar nomination. He is, however, pretty much the only character who’s written with any depth. Though the film is perfectly enjoyable, most of the secondary cast aren’t given much to work with. Diane Lane and Elle Fanning, Trumbo’s wife and eldest daughter, are paper-thin presences. Too often it feels like this is a hefty HBO miniseries cut down and compressed into a movie’s two-hour running time. Still, there’s plenty to be gleaned from this fight-the-power biopic. Even if the script could’ve done with a bit of a punch-up from Donald himself. Kathryn Bigelow’s bank-robbing surfing thriller Point Break swiftly cemented itself as an action classic in the early 90s. Keanu Reeves and Patrick Swayze’s dude bromance and a healthy dose of tongue-in-cheek cheesiness made it one of those guilty pleasures worth revisiting. Its plot was even casually ripped off by The Fast And The Furious. That film’s director of photography, Ericson Core, is behind Point Break 2.0, an uninspired retread that lacks the self-aware humour and star power of the original. 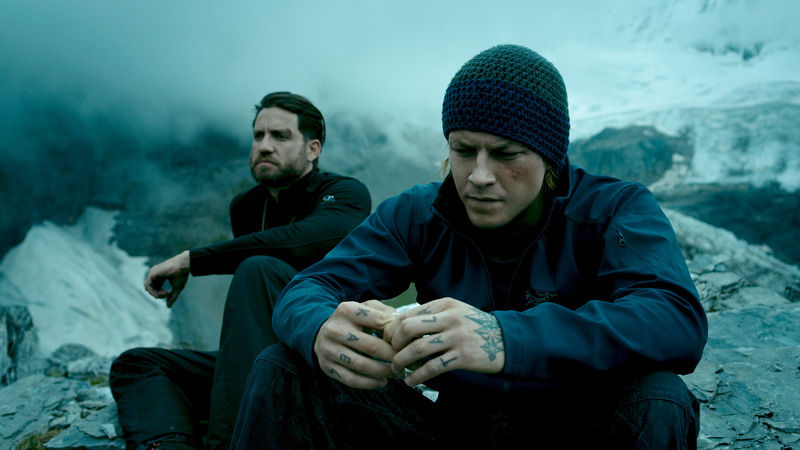 Luke Bracey takes over from Reeves as Johnny Utah, an extreme athlete who quits the sport to join the FBI after the death of his friend. He’s on the trail on Edgar Ramierez’s enigmatic Bodhi, a criminal with a difference. Bodhi is desperate to complete the Ozaki 8, a test of eight ordeals to honour the forces of nature. If it means breaking to law to complete his crazy hippy crusade, so be it. Traversing from one death-defying stunt to another makes for some impressive adrenaline-rush action sequences. Still, that doesn’t compensate for a flimsy script and off-the-peg characters as stiff as Utah and Bodhi’s surfboards. As for homages to the original Point Break? There’s barely any, save for Utah unloading his gun into the sky in pure frustration. Fans of the original are probably best to stick with that or revisit the later Fast & Furious films for a dose of macho action mayhem. The new Point Break is a wipe out.